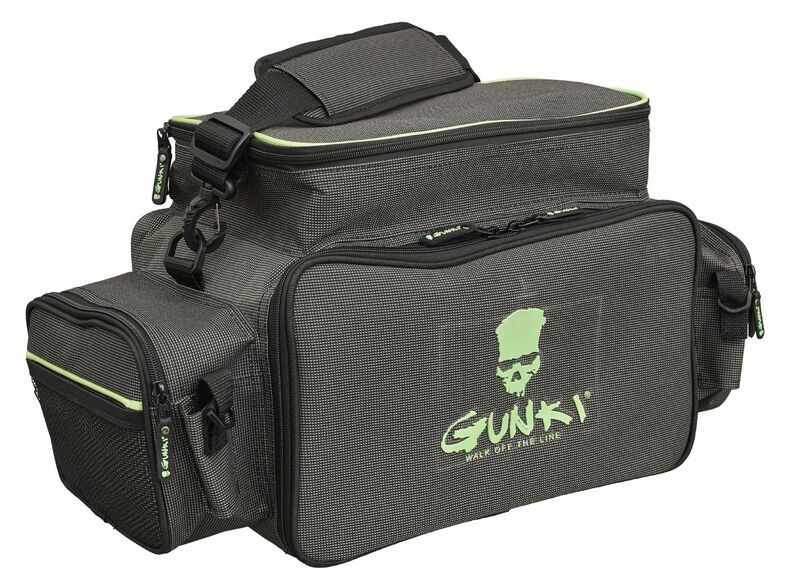 Gunki Iron-T Box Bag Front Pike Pro is a back sling style bag where the main compartment can be accessed through a front opening which takes 2 Pike Addict boxes measuring 32.5cm x 22cm x 8cm. The upper compartment will also takes one Pike Addict boxes measuring 27.5cm x 18cm x 4.5cm in size which are perfect for all your terminal tackle. Front Pike Pro is a fully functional lure bag in Pike Pro format for storing big lures. There are plenty of storage pockets with zipped, meshed, transparent and even plier’s compartments. The shoulder strap is removable which is handy on boats where the strap can be a trip hazard.